Powered by Bulletin, DealSiftr is a free app for iPhone that delivers personalized deals and coupons to you, right when and where you need them. 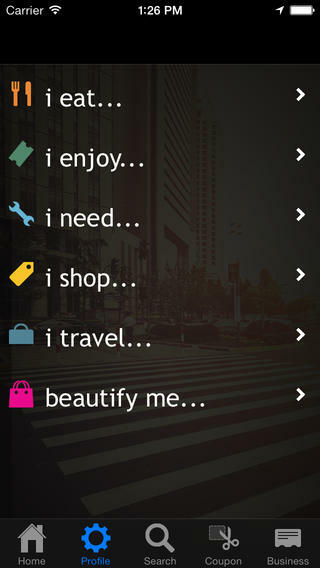 Simply fill out your personal profile to tell DealSiftr exactly what you’re looking for. 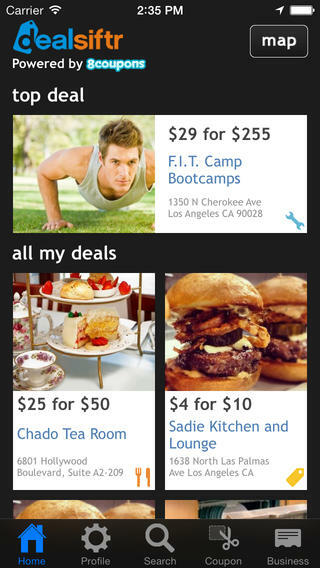 Then, let it serve up only the best, most relevant daily deals straight to your phone. Whether you’re shopping for sporting goods, new furniture, or travel packages, DealSiftr provides you with unbeatable offers from Yelp, Restaurant.com, Amazon Local, and other location-based social networks.